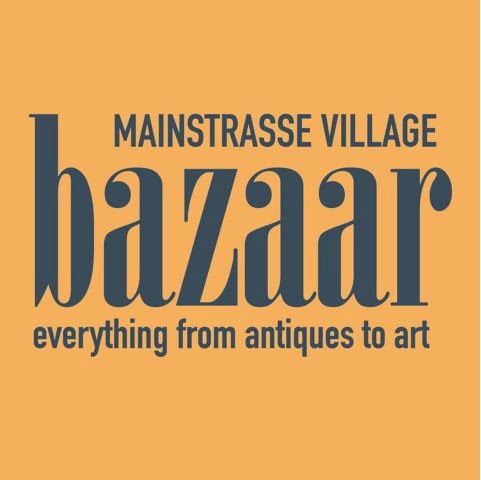 The Village Vintage & Arts Bazaar is now MainStrasse Village Bazaar- a marketplace with purveyors of art, antique, vintage and re-purposed items such as furniture, home goods and decor, architectural elements, tools, jewelry, clothing, gadgets, collectibles and more, organizers want to attract more vendors and more shoppers. This outdoor event is still every 4th Sunday, 9 a.m. - 3 p.m., April – October. The Bazaar is free to shoppers, and all are welcome to browse and buy from vendors lining the 6th Street promenade in MainStrasse Village in Covington, KY and encouraged to eat at one of the nearby locally-owned restaurants and check out the cool shops afterwards. We hope to see you there! Look for our new banner!